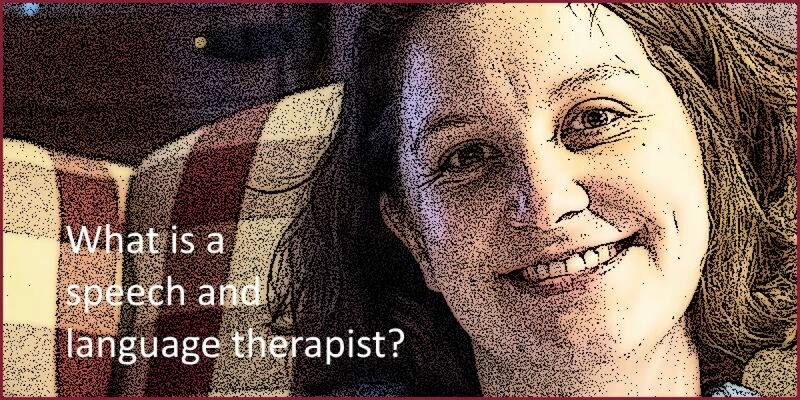 You are here: Home > Profession > What is a Speech and Language Therapist? What is a Speech and Language Therapist? A speech and language therapist (speech-language pathologist ) assesses, diagnoses and provides therapeutic interventions for people of all ages who are experiencing speech, language, communication or swallowing difficulties. Speech and language therapy jobs involve working with a wide range of people in a variety of settings. Over time a speech and language therapist may become a specialist speech and language therapist in a defined field. Speech and language therapy jobs are varied, and practitioners work in a variety of settings and with a wide range of anatomical, physiological and psychological impairments and resultant disabilities. Speech and language therapists have undertaken extensive speech and language therapy education and will typically be a member of a professional speech and language therapy association. They seek to reduce the effects of communication and/or swallowing difficulties and help individuals meet the needs of daily living. The following are core features of any speech and language therapy job. Speech and language therapists may be directly employed by government bodies (e.g. UK National Health Service), private clinics, schools, Education Authorities, hospitals, private individuals, and so on. In many countries, practitioners may offer their services on a self-employed basis. In addition, speech and language therapists plan and deliver therapeutic programs intended to prevent and alleviate such difficulties. The aim is to help people communicate more effectively and to eat and drink safely. Speech and language therapists also frequently take on an educator or health promotion role and will offer training services to the local community (e.g. schools, health centers, nursing homes, kindergartens). The aim is to build awareness among the public of the impact of a communication/swallowing difficulty and to enable people to interact more effectively with people who are experiencing such difficulties. The speech and language therapist works closely with other professionals involved in the care of individuals (e.g. physical therapist, occupational therapist, physician, teacher, social worker, health visitor, psychologist). In addition, they liaise with salient others in the affected individual’s environment who can assist in improving the effectiveness of their communication/swallowing (e.g. parents, carers, friends, volunteers, colleagues, employers). Many speech and language therapy teams now include Speech and Language Therapy Assistants or Speech and Language Therapy Technicians. These practitioners are not required to be fully-qualified speech and language therapists. They typically work either alongside a speech and language therapist or on their own in a supporting role – but always under the direction of a qualified speech and language therapist. Co-workers who speak more than one language also provide an important addition to teams delivering services in geographical areas where more than one world language is spoken. Qualified practitioners around the world use different (authorized) titles, e.g. speech-pathologist (Australia); logopedist (Italy). For information and education purposes only. Always seek the advice of a suitably qualified professional.